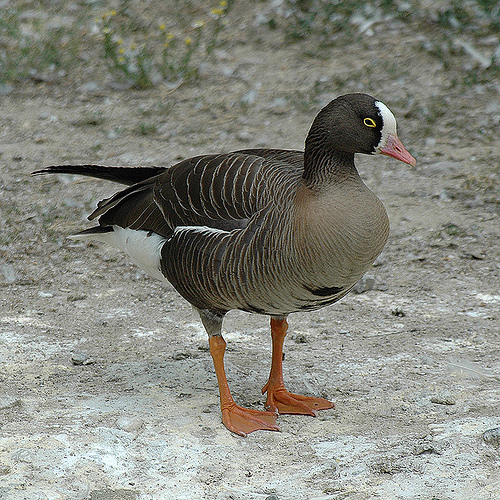 The Lesser White-fronted Goose resembles the White-fronted Goose, but, as the name suggests, it is a lot smaller. Particularly striking is the small pink beak. In Scandinavia reintroduction programs are conducted to help the rather rare species. 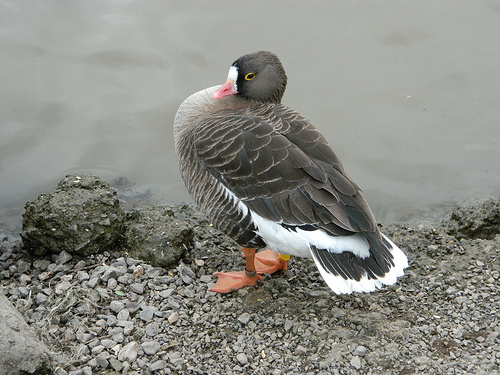 The Lesser White-fronted Goose is considerably smaller than the White-fronted Goose. It has a little pink beak.